Jose Ramirez, the California amateur prodigy who drew many comparisons to Oscar De La Hoya, pulled somewhat of a shocker on Friday when he signed a promotional contract with Top Rank. 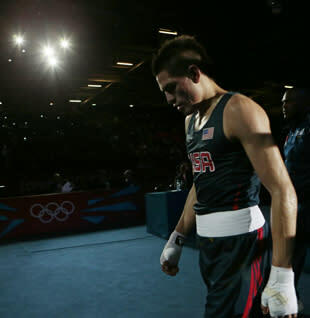 The 20-year-old lightweight, named the American Olympic boxing team's top pro prospect by Yahoo! Sports earlier this year, had been widely expected to sign with De La Hoya's Golden Boy Promotions. It seemed such a certainty that AIBA, which runs the Olympic boxing program, conducted an investigation that ultimately cleared Ramirez. Ramirez won his opening fight in London before being eliminated. 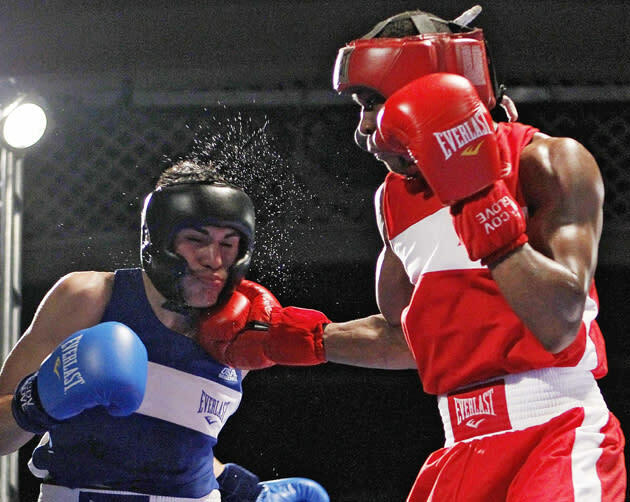 He is part of what is widely considered the worst U.S. Olympic boxing team in history. But Top Rank's Hall of Fame matchmaker Bruce Trampler is intrigued by his potential. "Jose's fan-friendly style of fighting, always on the attack and throwing lots of punches, is a perfect fit for Top Rank," Trampler said. "We have very high expectations for him." Five of Ramirez's Olympic teammates -- Dominic Breazeale, Marcus Browne, Terrell Gausha, Errol Spence Jr. and Rau'Shee Warren -- have all signed with Golden Boy and will fight for the first time since the Games on Friday as part of a Showtime-televised card in Indio, Calif.